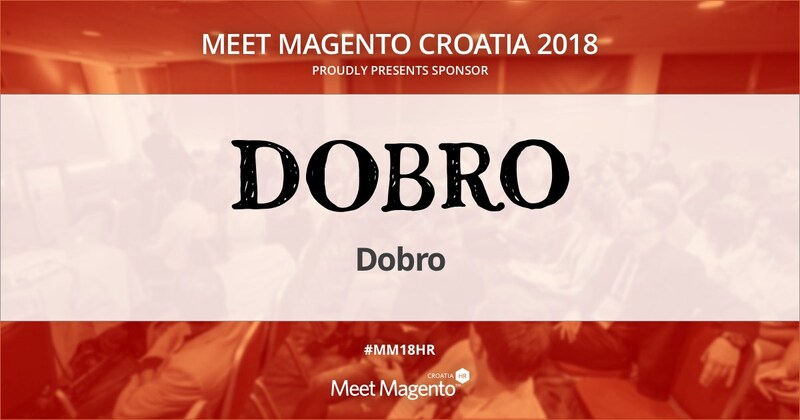 DOBRO is a Supporting Partner of Meet Magento Croatia 2018 Conference – Meet Magento Hrvatska 2018. DOBRO is a brand of dry-cured meats made exclusively from ingredients coming from Slavonia. Process of traceability enables us to monitor the entire production – from field to the table. On their own fields, they grow grains which are used to feed generations of the domestic Slavonian pig. By using a world famous recipe and state-of-the-art technology, DOBRO is created – delicacies made of minimally processed fresh meat, without flavour enhancers, artificial colours, soy or gluten. We would like to say thank you to DOBRO for supporting the conference by supplying the Coffee Break and Goodie Bags with top quality products.